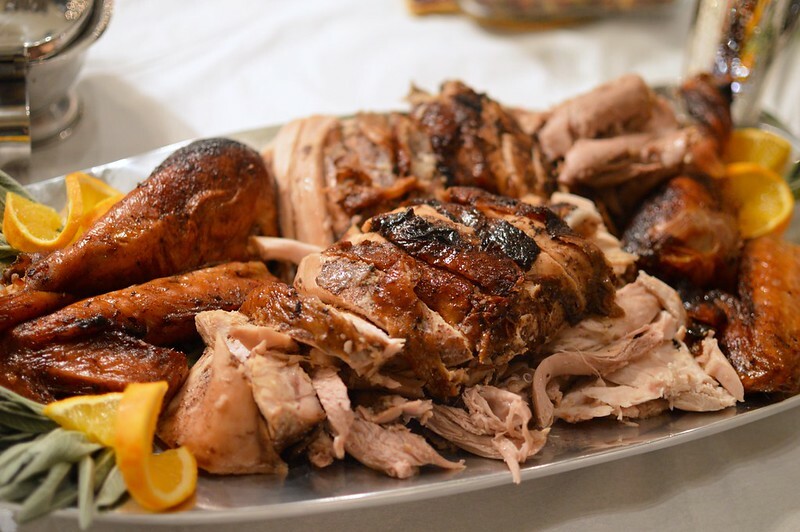 If you can believe it, I had three different turkey dinners within the course of seven days—roasted, fried, and smoked. Talk about Turkeypalooza! 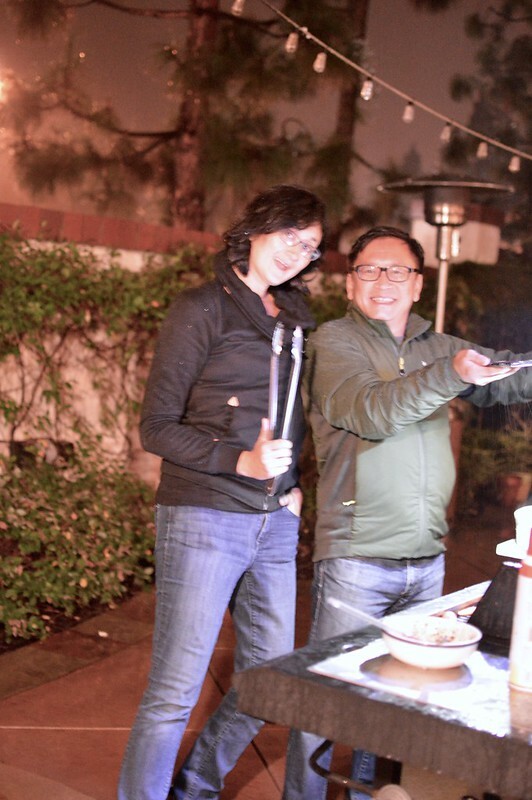 It all started last Sunday with our belated (VERY BELATED) October Sunday Family Dinner. Our cousin Van and his new wife Jenny got married on Saturday. It was, of course, a super fun wedding full of S-H-E-N-A-N-I-G-A-N-S that would be inappropriate for me to divulge the full details here. But let’s just say–there was a lot of cognac involved. 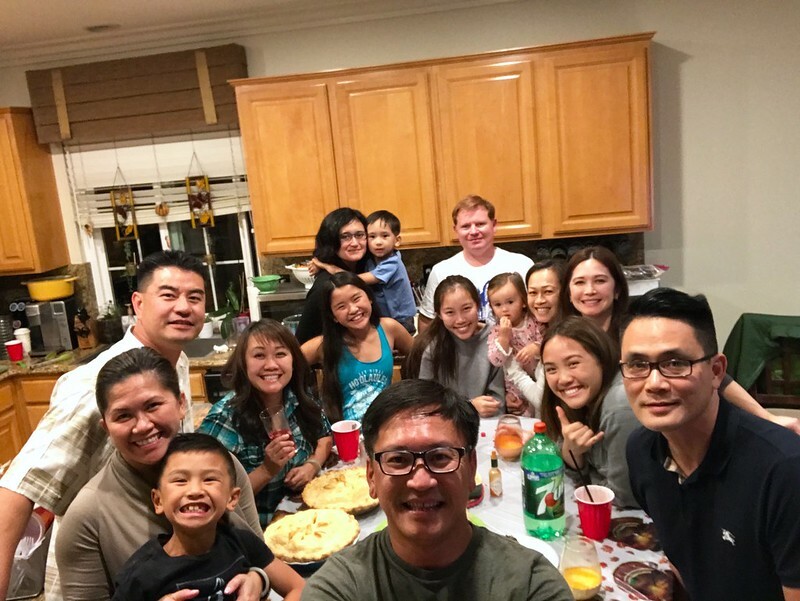 Since October was so crazy and the whole family would be in town for the wedding, we decided to have Fam Din the day after V & J’s festivities – four days before Thanksgiving. Traditionally, Thanksgiving Day in our fam is a house full of extended family (50+ peeps) for a full day of feasting. 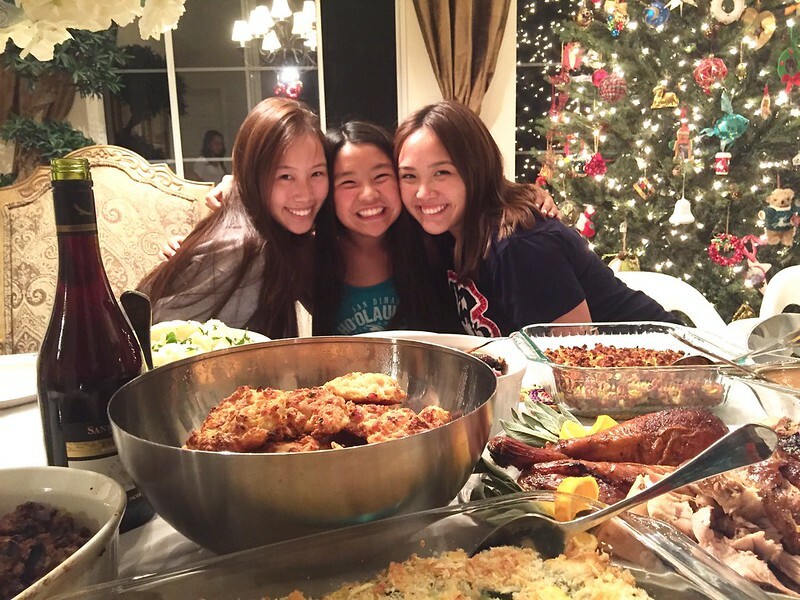 We typically have several meals throughout the entire day and flip between Vietnamese courses and American Thanksgiving dishes. 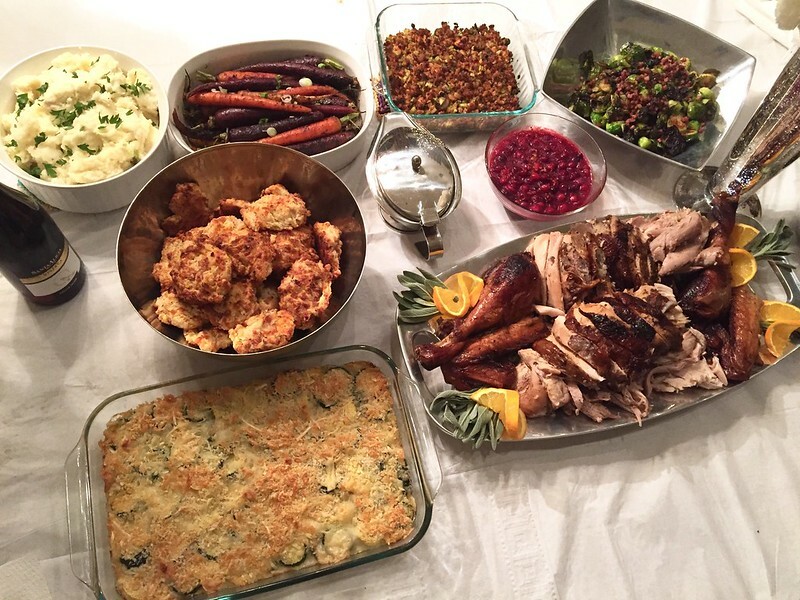 We feast…. a lot. 12+ hours worth. 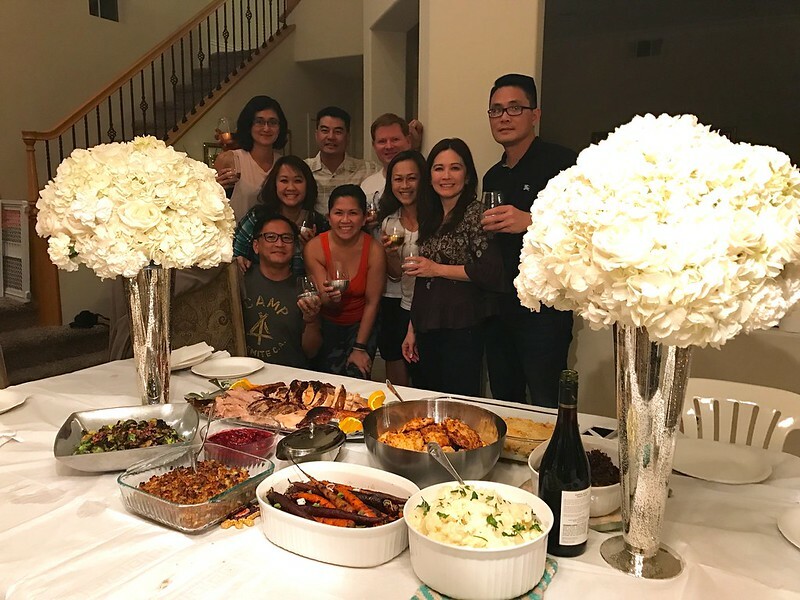 But with the family spread out over the years, we realized all five siblings hadn’t celebrated Thanksgiving all together in over 10 years. That’s quite some time! 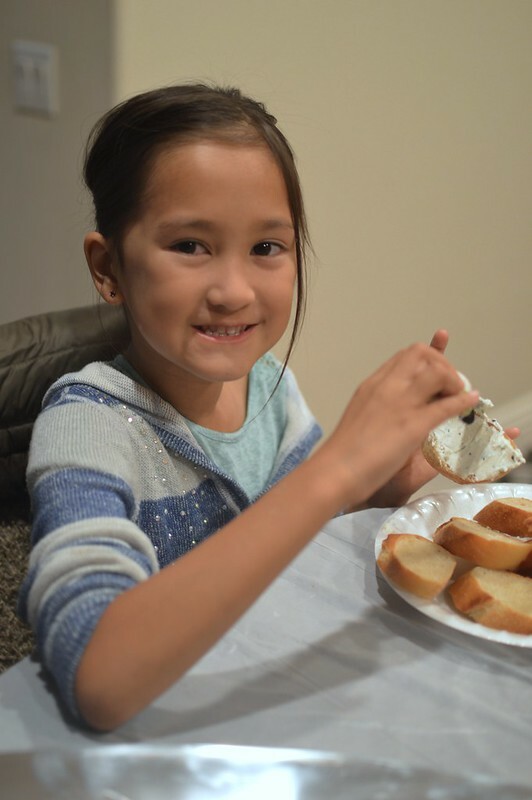 And since P and her gang were heading back up to SF before Turkey Day, we decided to have a full blown Thanksgiving menu for Family Dinner—an early Siblings Turkey Day. Added bonus – we had the leftover flowers from the wedding as our table centerpieces for dinner. Recycled Fanciness. 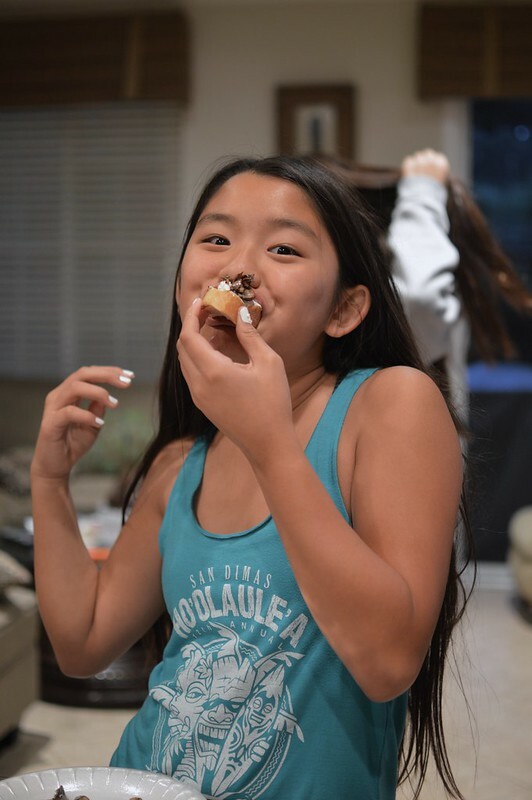 Despite living in SF, our youngest munchkin, Kaelani has been able to attend quite a few Fam Dins so far with her crazy So Cal o’hana. And she’s talking SO MUCH now! Nonstop jabber-jabber chasing after the pups and calling out for her favorite Bac Bi — my eldest bro-in-law. That face–we wish she was here every month! If you’ve been following my Fam Din posts over the years, you already know that these two are thick as thieves. And can we talk about how HUGE this marshmallow pop is??? It’s nearly the size of Leo’s head! Since my brother and his family have temporarily moved back to Cali from NY, I’ve been putting their kiddos to work at Fam Din to make up for lost time. Here’s my Luna Bear helping with the appetizers. She was quite meticulous with them too! 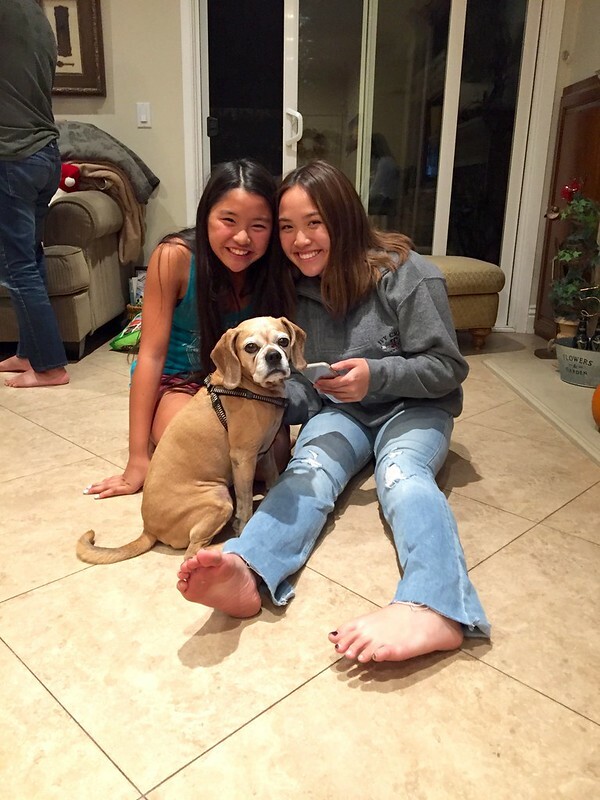 And the last of our munchkins…the fur babies. 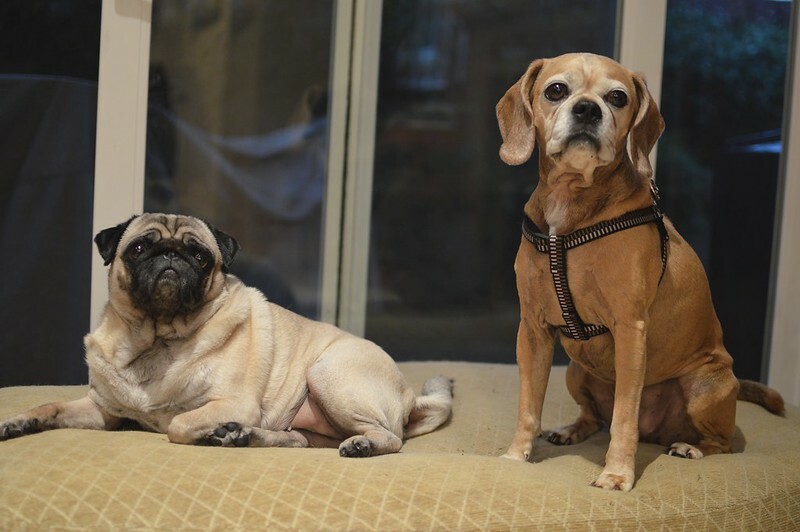 Princess Leia is looking quite regal lounging on her ottoman while Bella is just wondering when dinner would be ready. Speaking of which, let’s talk about the food! We had two appetizers before dinner which big sis had us stagger out during prep time so that we wouldn’t get too stuffed. 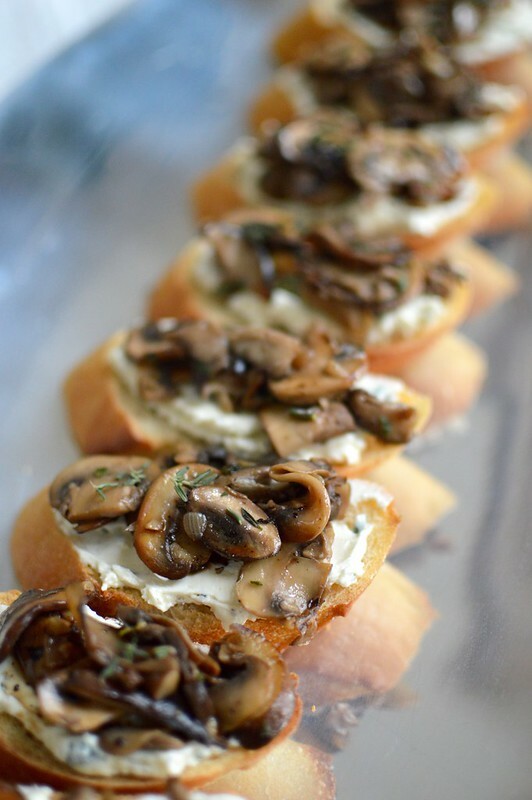 I made Mixed Mushrooms & Herbed Goat Cheese Crostinis. Criminis, button mushrooms, shitakes, and oyster mushrooms were sauteed with garlic and herbs and finished off with white wine. They topped toasted crostinis that were spread with a mixture of goat cheese, mascarpone and fresh herbs. Maya approved and said they tasted like mushroom pizza! 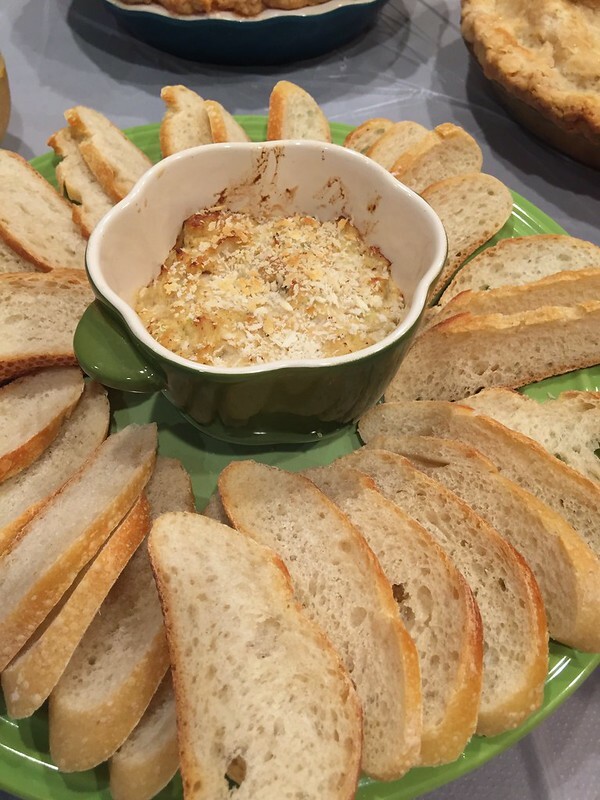 Next up was brother and his appetizer – Blue Crab Dip. I usually use lump Dungeness Crab in dips and fillings but V insisted that Blue Crabs have better flavor — and they did! Rich, decadent, and SUPER YUM! Did I just say “super yum”??? Of course there was some football and lots of silliness throughout prep. 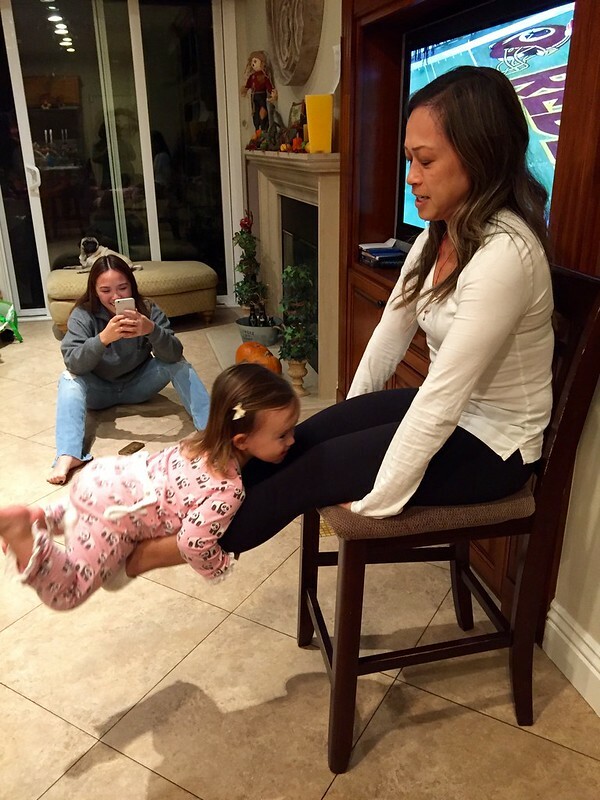 Here’s seester P doing leg-lifts with Kaelani. No wonder she’s in great shape! After hours and hours of cooking, dinner was ready!!! 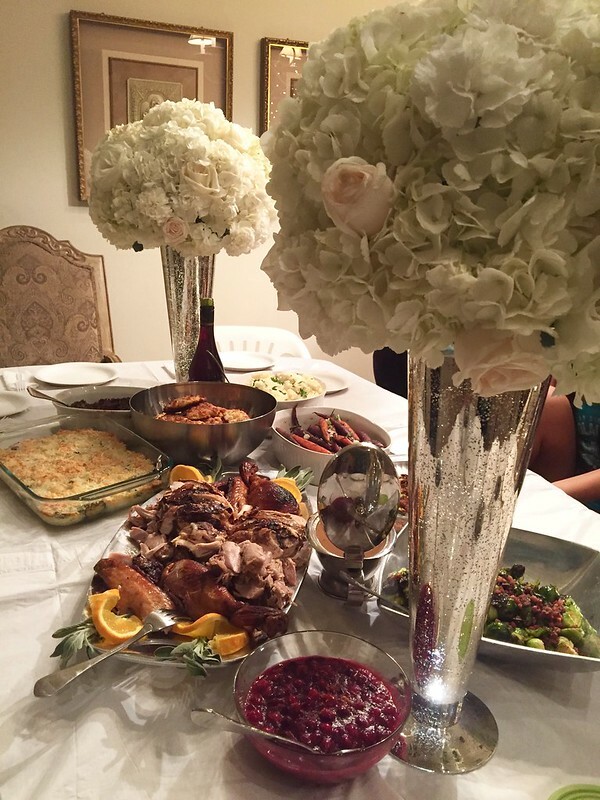 And yup– alongside those gorgeous centerpieces, we ate dinner off paper plates. Not really. Just don’t tell Ina. Okay, back to the food. 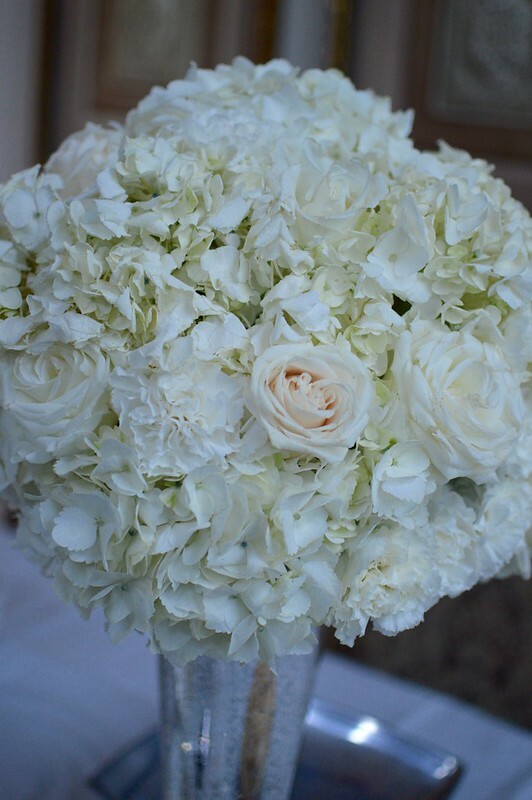 Although we decided on a Thanksgiving menu, the inspiration was really all about this beauty…. 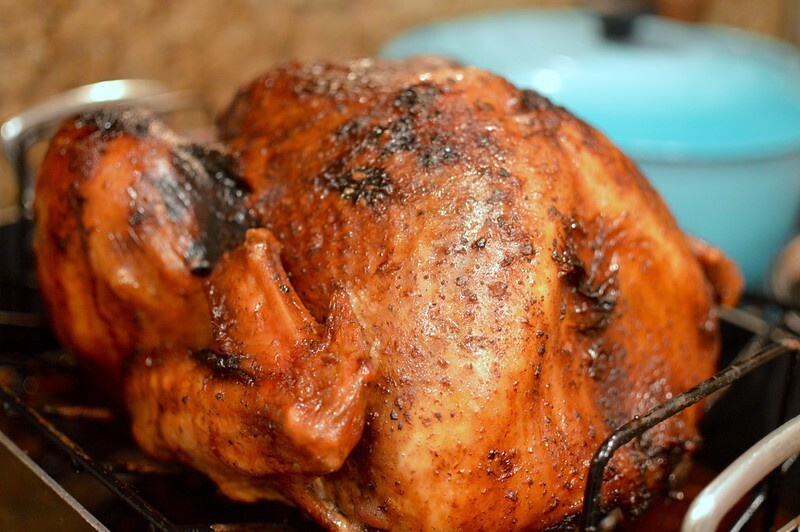 Mom’s Five Spice Roast Turkey. 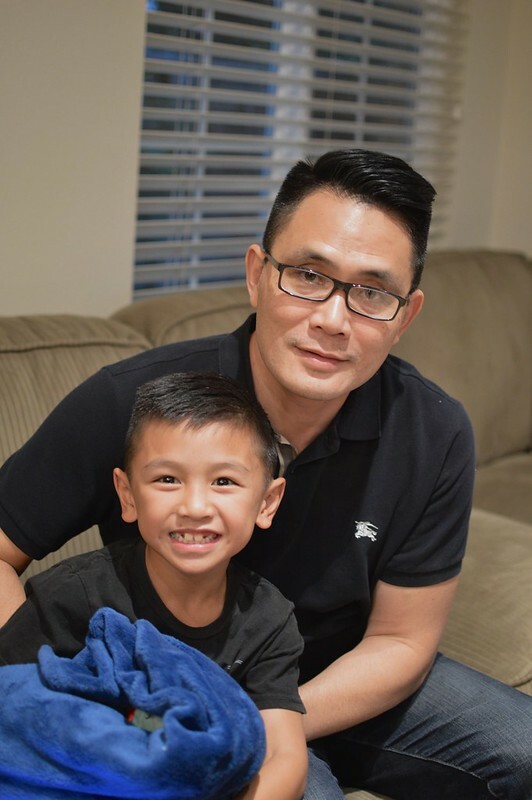 Imagine this….a Vietnamese refugee family in the mid 1970’s, relocated to Minnesota. Total culture shock is an understatement. So the family did what we could to acculturate to the new environment. And that especially included our foods. So Mom took a turkey and gave it a Vietnamese spin by marinating it in five spice, lots of garlic, sugar and Maggi. The flavor is incredible and I’ve got to tell you, is the best turkey you’ll ever taste because it is seasoned so well–every bit of it. 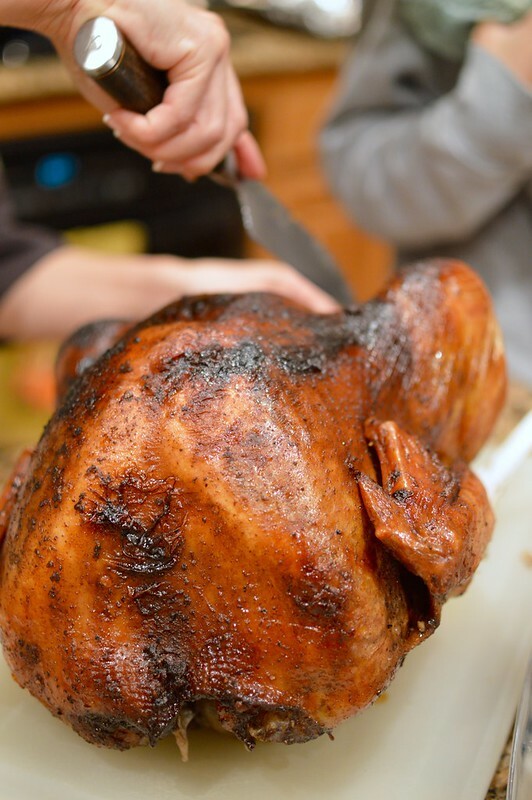 We would wake up early in the morning to the smell of the turkey roasting and the five spice aroma was incredible. The funny thing is, we were just remembering how Mom would throw the turkey in the oven at around 5 or 6am and not take it out until 3 or 4pm! Sure, we used to try and find the biggest bird (26+lbs), but why did it take so long then when now we only roast them for 5 or 6 hours. But I’ll be darn, her turkeys weren’t overcooked and were SUPER juicy. Big seester N has been making Mom’s turkey recipe for years now so we quickly nominated her for the job. And I’ll tell ya, she sure would have made Mom proud. The flavor was spot on and was everything we all remembered it to be. Seestrah also made stuffing, dressing and cranberry sauce to go with the turkey. Along with the roast turkey, we had TONS of sides! 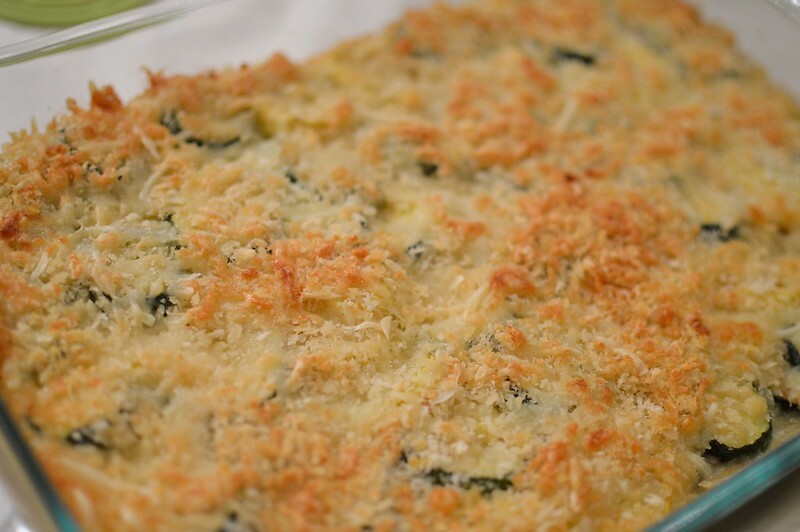 Seestrah T made 3 side dishes and her first was this Squash & Gruyere Gratin from Ina Garten. Surprisingly rich (in a good way), cheesy and great crunch from the panko. 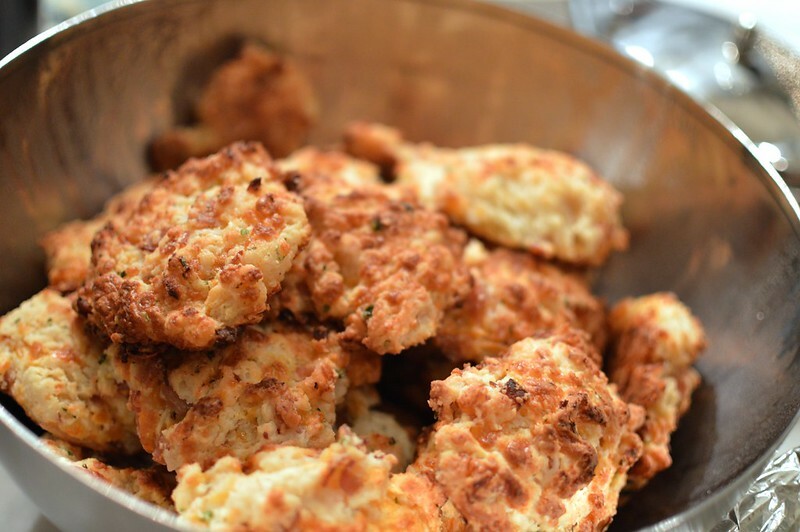 She also did a spin off of my biscuits and made these Ham & Cheddar Drop Biscuits. They were so savory and I’ll tell ya, made for awesome little breakfast sammies the next day. 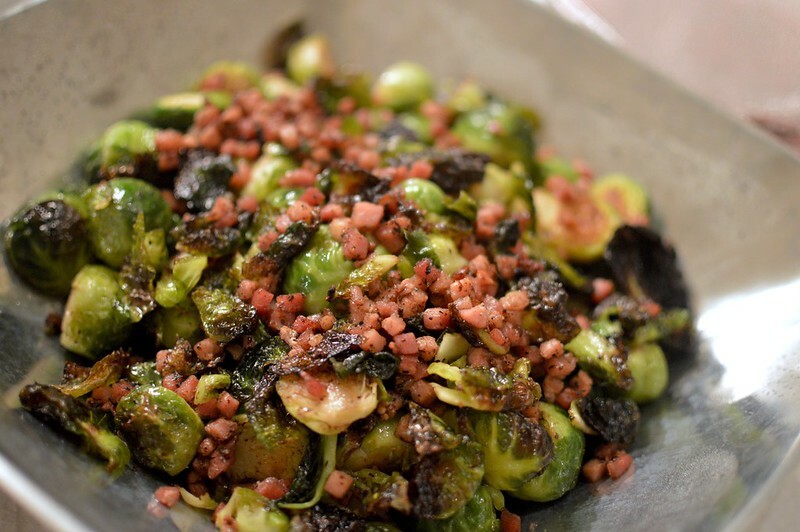 Lastly she roasted Brussel Sprouts with Pancetta. And I’ve got to admit, I have no idea how they tasted because brussel sprouts are NMF (not my fav) but everyone else seemed to really like them. 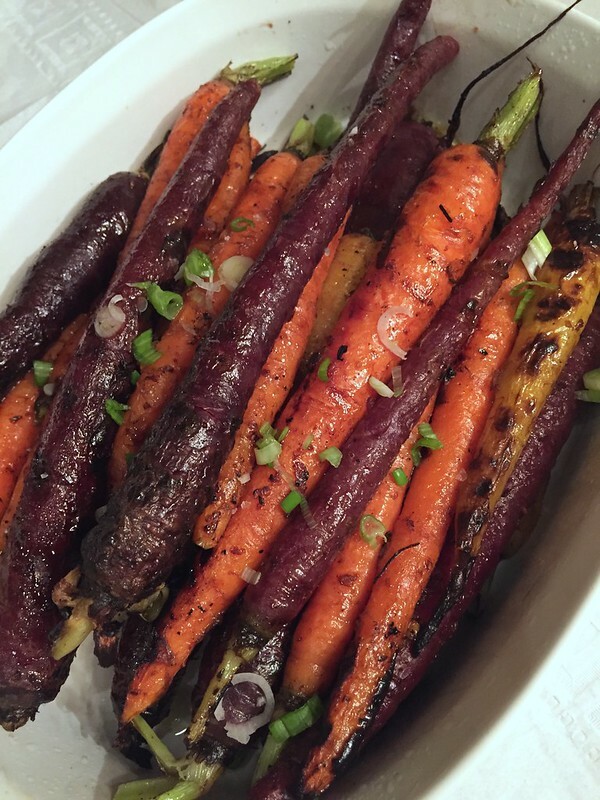 V & L tag teamed on their Grilled Ginger-Balsamic Carrots. Aren’t they pretty? They first blanched the carrots and then quickly grilled them to get a nice char. Of course in my opinion, no Thanksgiving meal can be complete without some ‘taters. 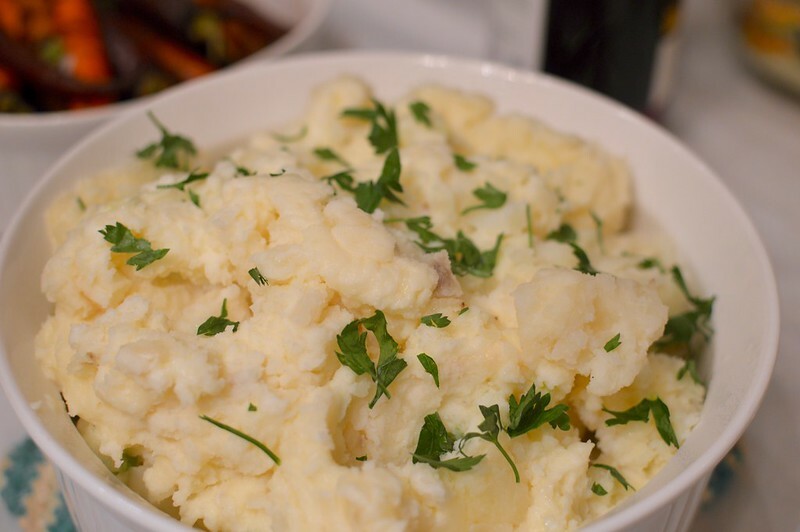 These are my tried and true Roasted Garlic Mashed Potatoes. The key to them? Lots of roast garlic and more butter, cream cheese, and heavy cream then you’d like to know. And last but not least, dessert!!! There’s no doubt that P is the best baker among the clan. 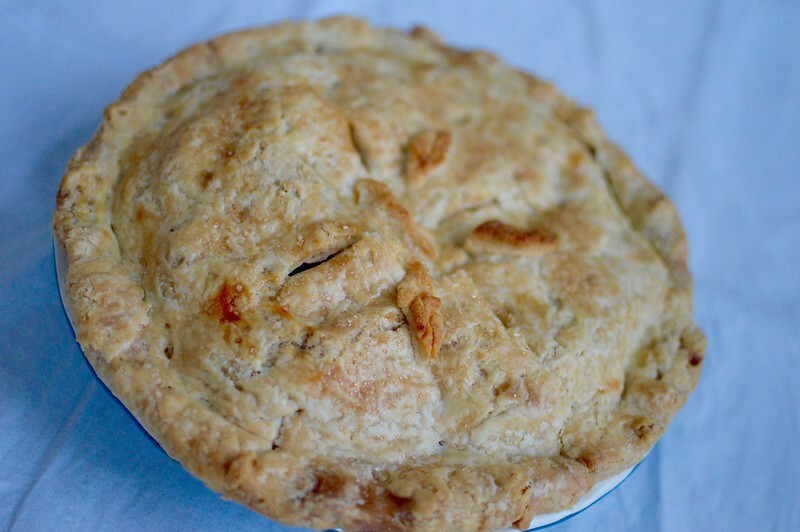 So there’s no way she’d get away without making dessert for this Fam Din and we (ok, I) requested TWO traditional Apple Pies served with Vanilla Bean Ice Cream. I’ve got to say, we’ve had some REALLY great meals in the four years we’ve been having Fam Dins but this one really is up there. Not only did it mark the first Thanksgiving all my sibs have been together in over a decade but Mom would have absolutely loved everything about it. 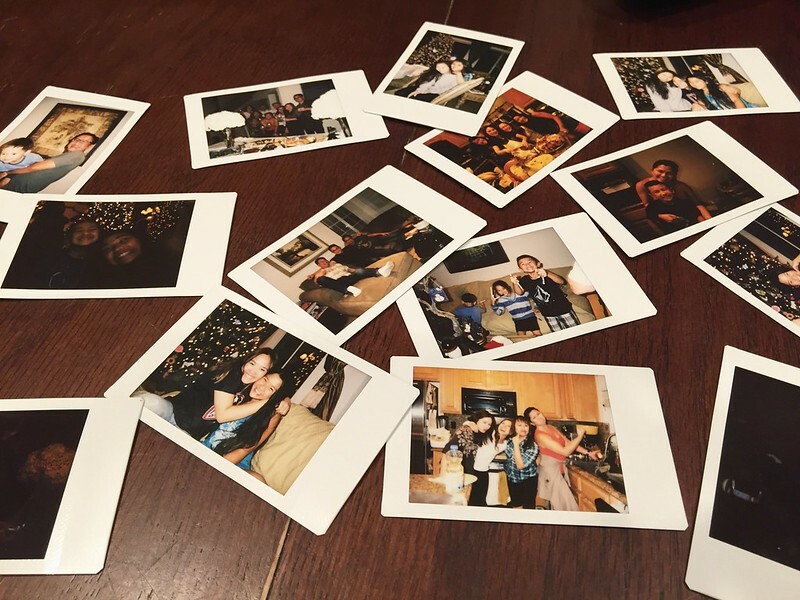 And with that–Hope you are all able to create some great traditions and memories with your loved ones. Previous Post Crème Brûlée French Toast – Happy National French Toast Day! DOH! Post is now revised! 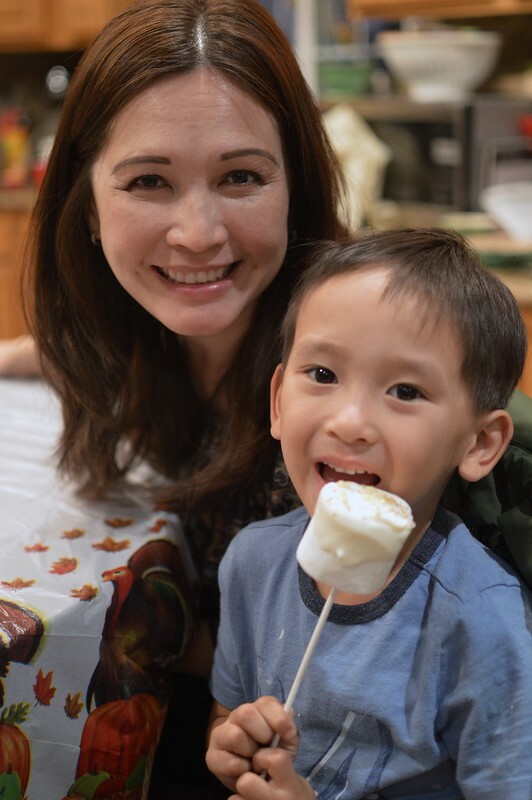 Thank you for taking the time to share with us your family celebration! 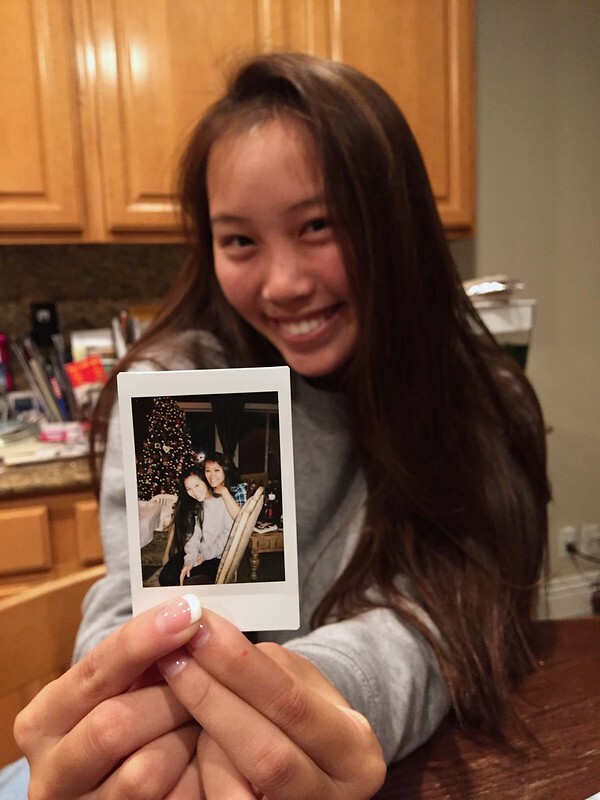 Thank you for spending the time to read the post–Happy Holidays! 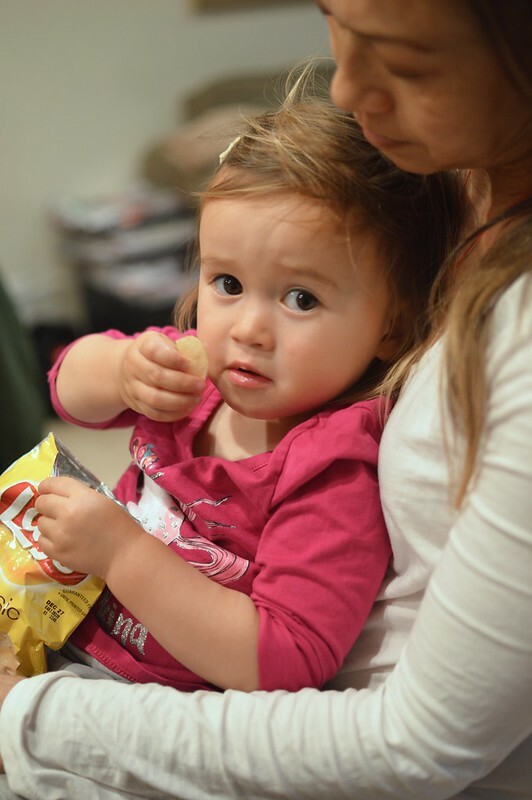 Thank you for sharing with us your monthly family celebration! I am always looking forward to those posts. Also, could we please have a recipe for Mom’s Five Spice Turkey? 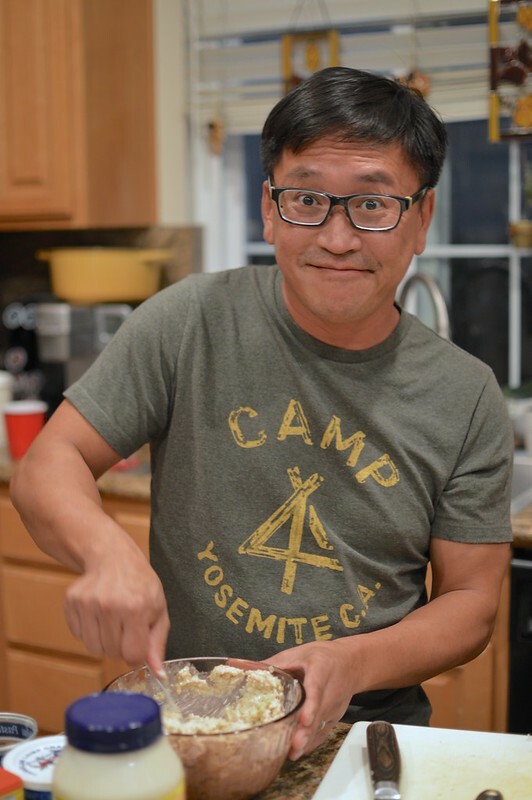 I would love to replicate the recipe for my family Christmas dinner. I live in a tropical zone and this recipe sounds like a winner for a warm Christmas night! Again, thank you for sharing with us.